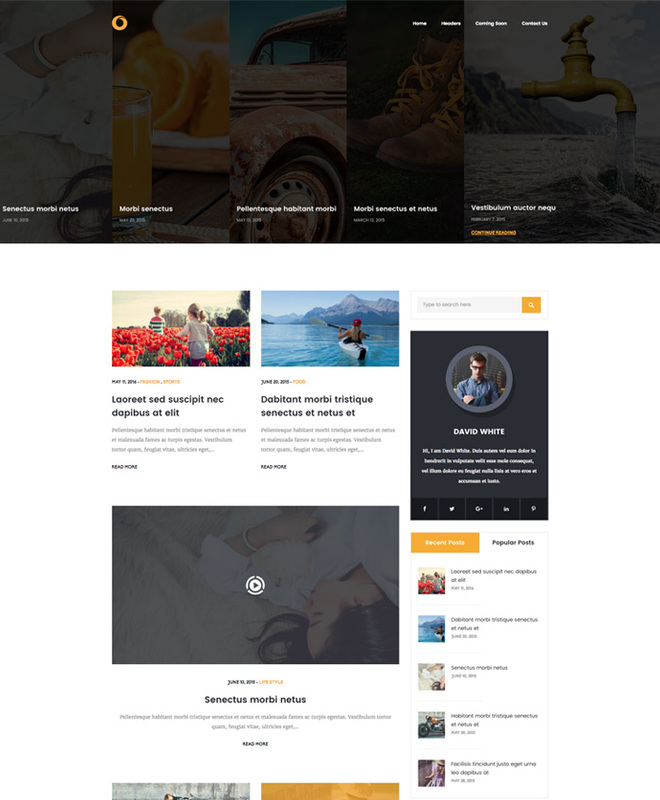 Dot Blog is a beautiful, clean, standard, and easy to use WordPress theme for personal blogs, magazines, and news portals. It comes with the best practices in HTML markup, WordPress standards, and SEO coding. It’s perfect for anyone who wants to start their own blog or website. 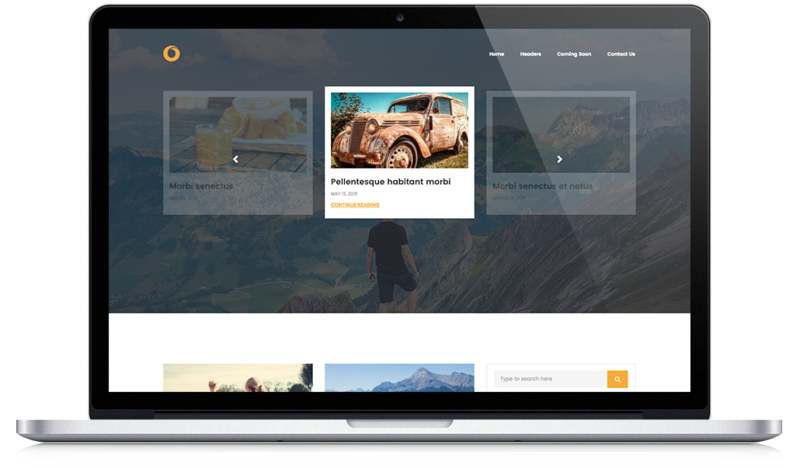 It suits any type of personal blog, marketing or corporate blog. 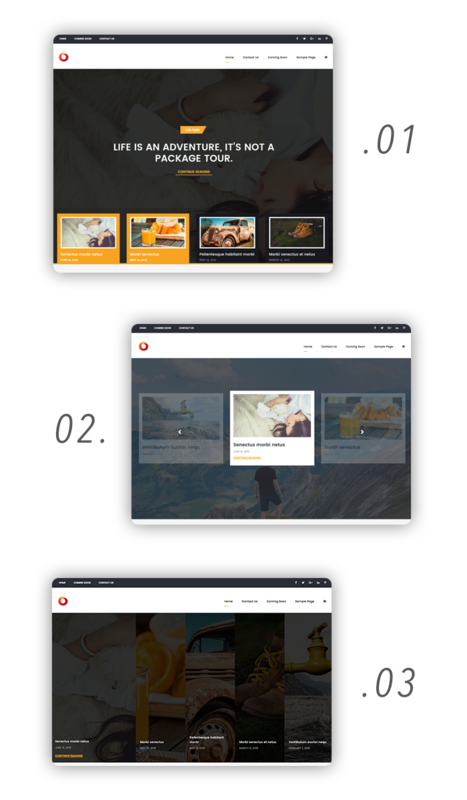 It comes with 2 different headers, 3 homepage post layouts, 3 slider variations, and unlimited colors. You can build many unique home pages by combining this options in WordPress Customizer easily. 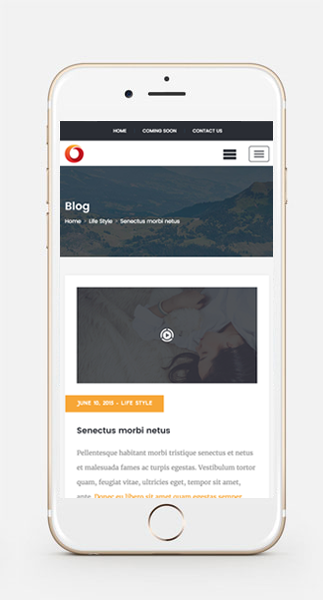 Dot blog is 100% responsive. Smaller devices users will have a seamless experience reading your blog content. We have tested the theme on iPad, iPhone, major android devices, and desktops. It will adapt to smaller devices to give your users a better experience. Dot Blog offers 3 unique sliders to choose from. You can choose your desired one in theme customizer. You can either choose from the light or dark header styles. 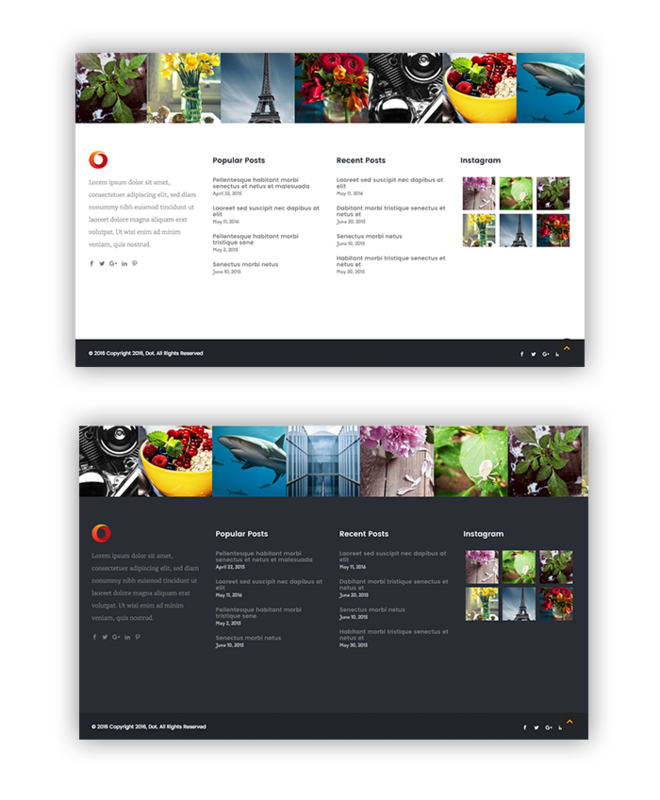 One uses a dark background and the other one has a top bar with social icons and extra navigation menu. 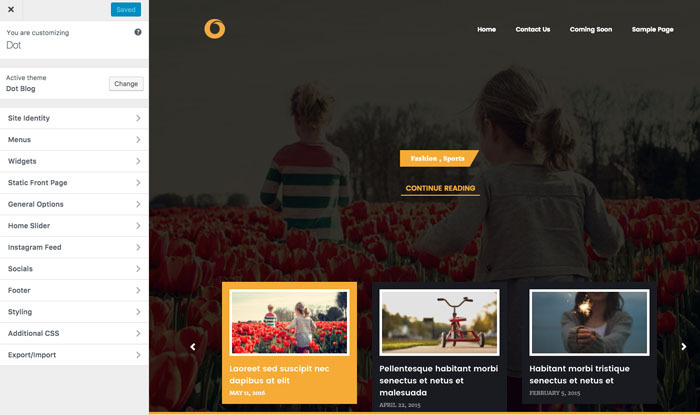 You can change your homepage posts’ layouts and select your desired one from 3 different styles. 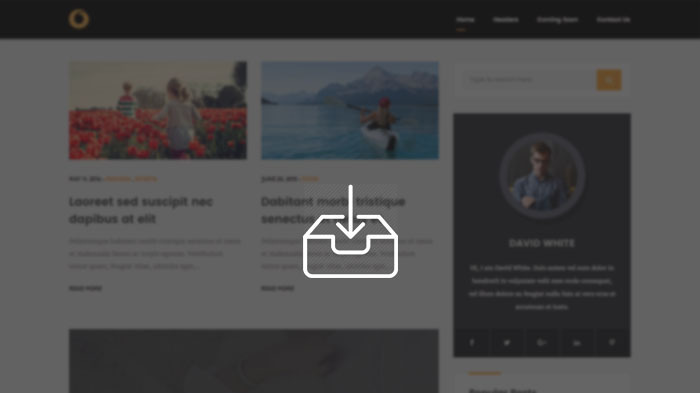 Dot Blog provides a dark footer as well as the default light version. 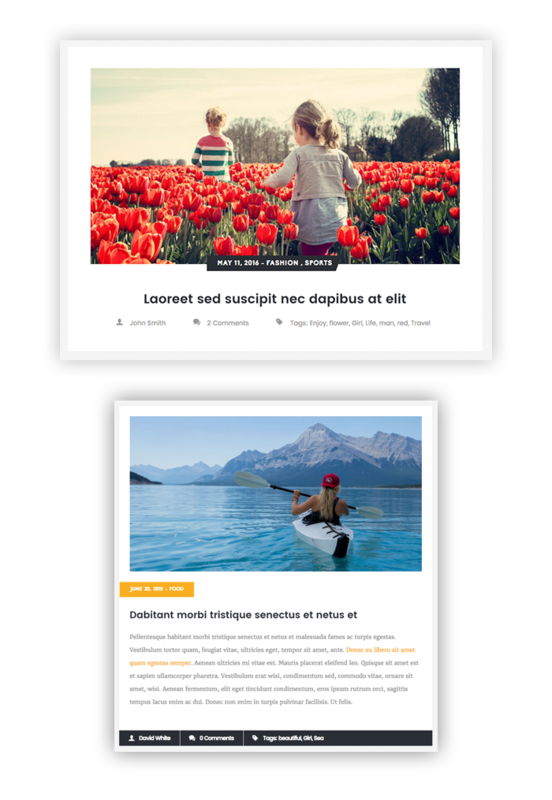 There are two styles considered for the single post layout. 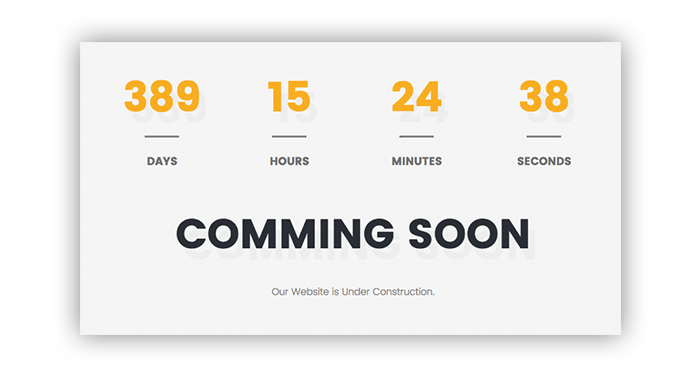 You will have a template to show your launch time when your site is under construction. 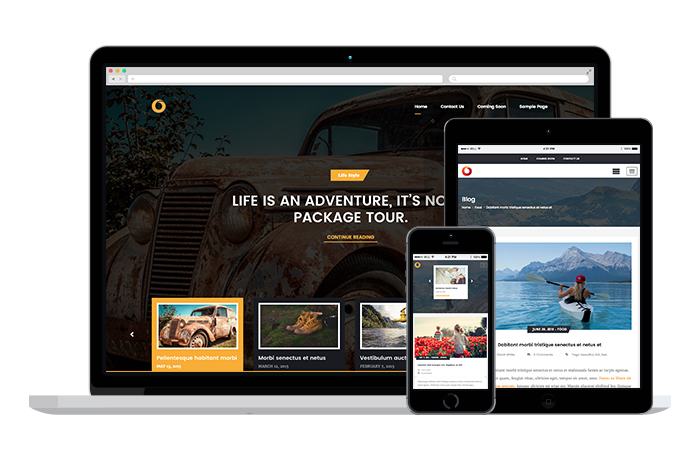 You can customize your theme using the WordPress native customizer and see the live changes right off the bat. The customizer allows you to change slider style, post styles, colors, etc.